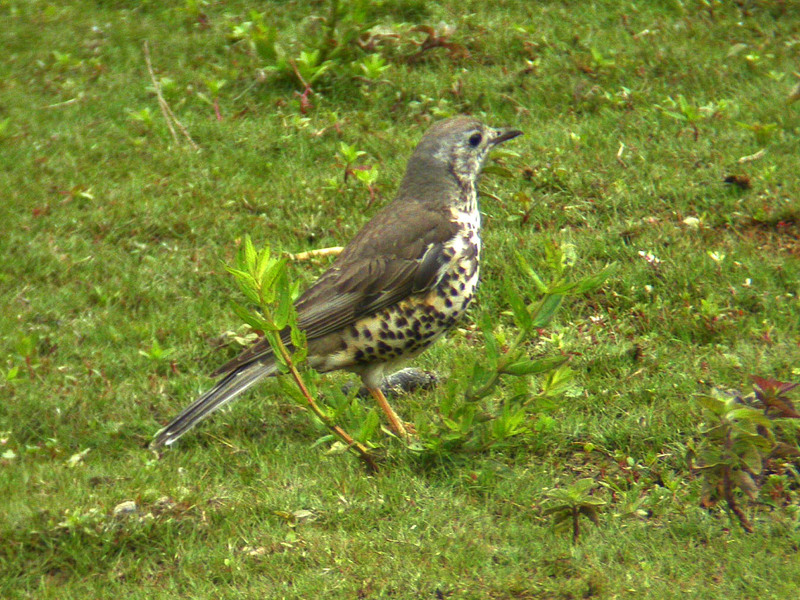 Not so much a sighting for the reserve itself (we should be so lucky!) but very much a celebrity bird in the local area - a Short-toed Eagle has been hanging out in the nearby Ashdown Forest for much of the last 2 weeks... 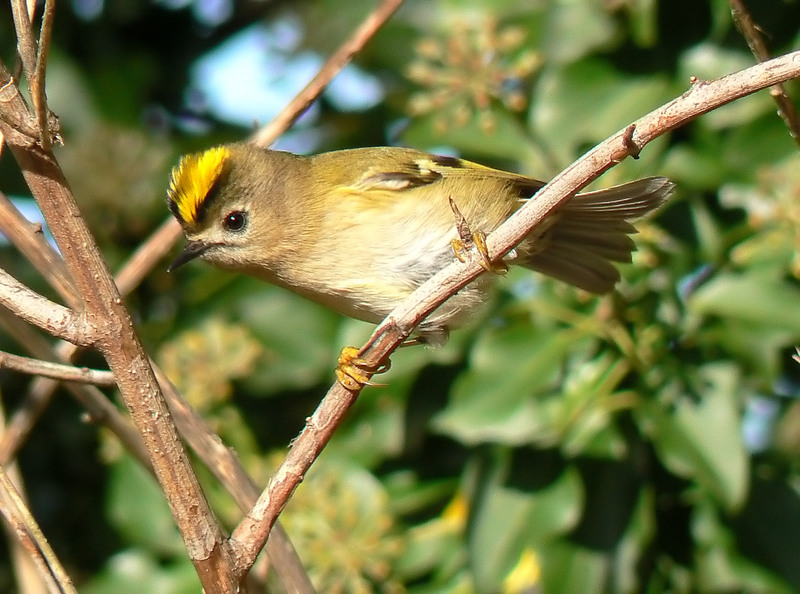 This is what birdwatchers would call a 'mega', with this species only having been reported twice previously in the UK - It's quite an interesting story (I think!) and if you want to read more, have a look on the 'Latest News' page. 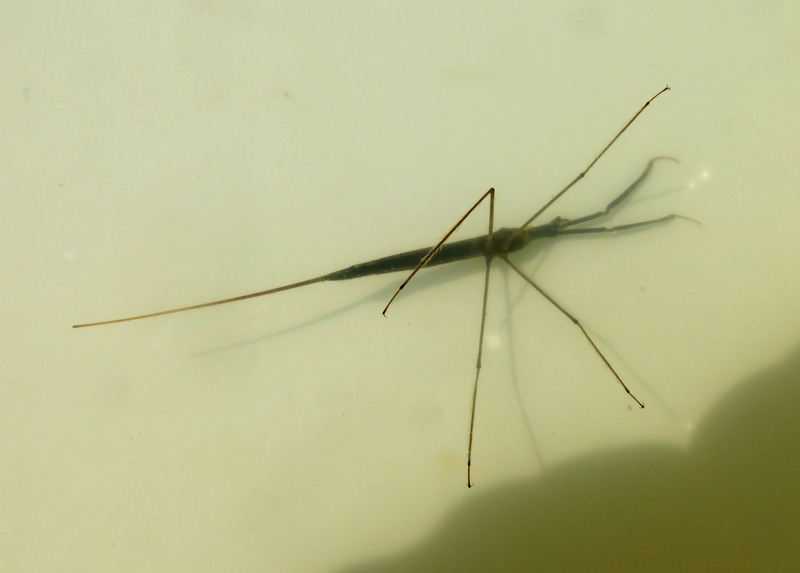 An interesting sighting during the June pond-dipping session - a Water Stick Insect. This is quite a large creature, being almost 2" or so in length - it is a non-swimming predator, which lurks in among vegetation and debris, and catches its prey in the long jaws that you can see on the rhs of the photo. The first time that this creature has been found in the pond. In other pond news, the fish used the flooding of the winter to populate both ponds and a new generation of young fish are very numerous. This is having a very obvious effect on the other pond inhabitants - for example we caught less than 20 newt larvae this year, against 73 in the equivalent session in 2012 before the fish bred, and most other small larval creatures were either completely absent or much reduced in numbers. Elsewhere on the reserve, butterflies were enjoying the hot weather, with a Dingy Skipper being seen (first for a few years I believe) plus 2 Common Blues, some early Meadow Browns and a female Brimstone. 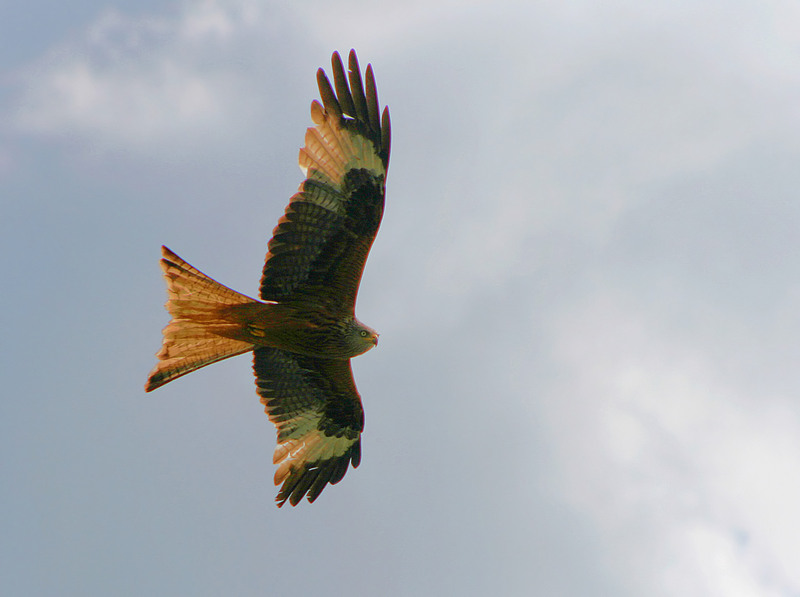 Whilst carrying out the April pond-dipping session (pretty successful btw - quite a few customers and good catch of newts etc) attention was drawn to a very low Red Kite which appeared to be coming down to investigate something of interest in the middle of Bloomers Field. Everyone got an excellent view of this very handsome species in the bright sunshine, and a Sparrowhawk circled round high above to see what all the fuss was about. A new species for the reserve - #76 on the list! 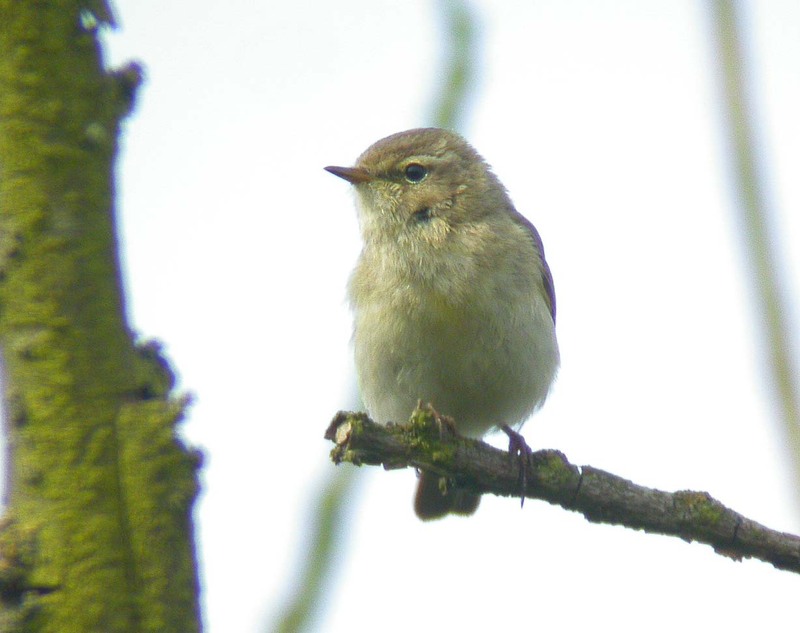 First spring migrants have started to appear in the reserve now - Chiffchaffs started to be noted from mid-March and first Blackcap - a singing male - was seen on 26th March. 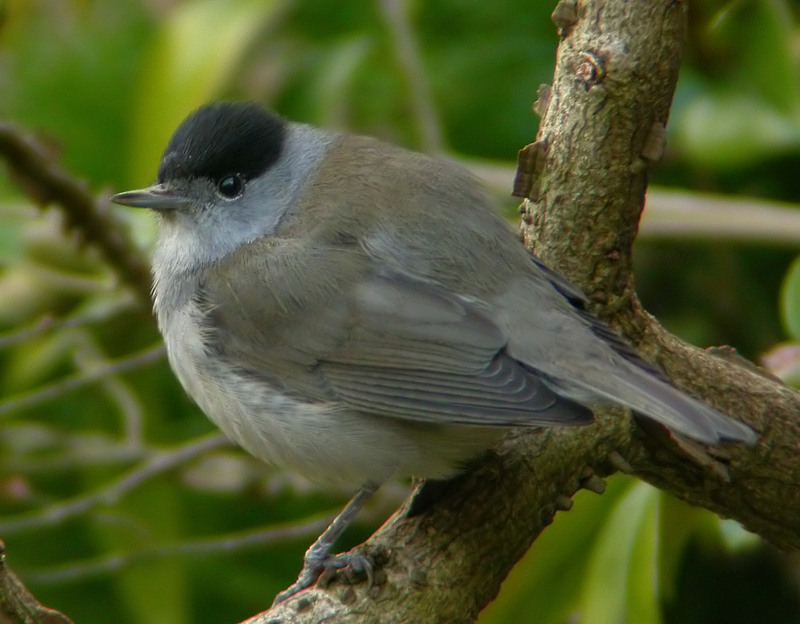 Bit too early in the season to be making any judgements about numbers, but will be interesting to see what birds turn up this year, as last 2 years have been very much a challenge for many species, with unusual weather patterns meaning that many birds didn't turn up at all, or late and in small numbers. It might seem unlikely, as we gradually sink lower and lower into the mud, but Spring is just around the corner, and the first signs that the longer days and higher sun position are starting to stir things into life are starting to appear. 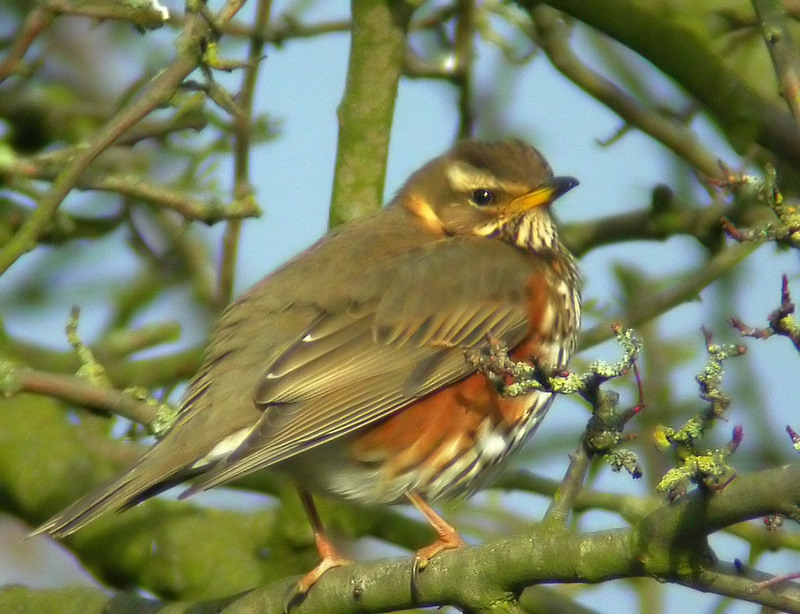 Dunnocks and Robins have been singing for a while, but a bright interlude will lead to species such as Chaffinch, Greenfinch, Goldcrest, Green and Greater-spotted Woodpeckers, and Song Thrush joining in. There are also the first Lesser Celandines in flower too. It may only be early Feb, but nil desperandum, Spring is not too far off! Very much a case of 'water, water everywhere' over in the reserve at the moment, with levels being the highest that I've seen over the last few years. 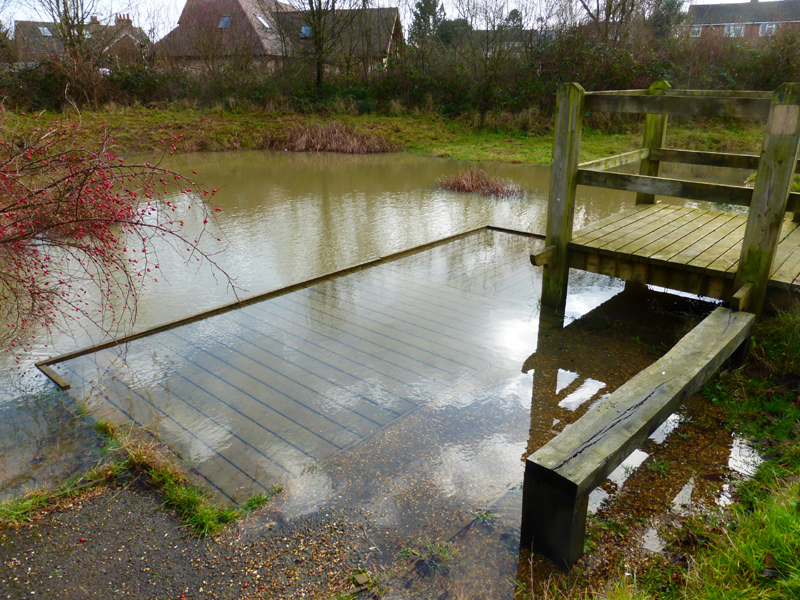 Here's a photo of the pond - you will notice that the dipping platform is now underwater and all of the previously separate bodies of water have joined up into one big pond now. This is potentially a bit of a worry, as the large numbers of goldfish had previously been just confined to the main pond, but now there is no barrier to them taking over the whole complex. At this time of year though, fish tend to be pretty torpid and will stick to the deeper water, so fingers crossed that none will be sufficiently adventurous to make the journey! 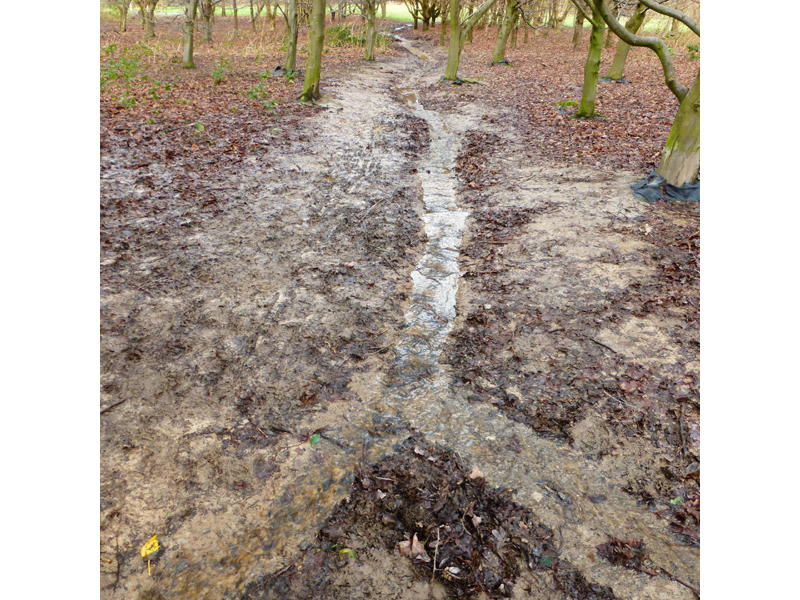 and here's a pic of the newly formed Coldharbour River!